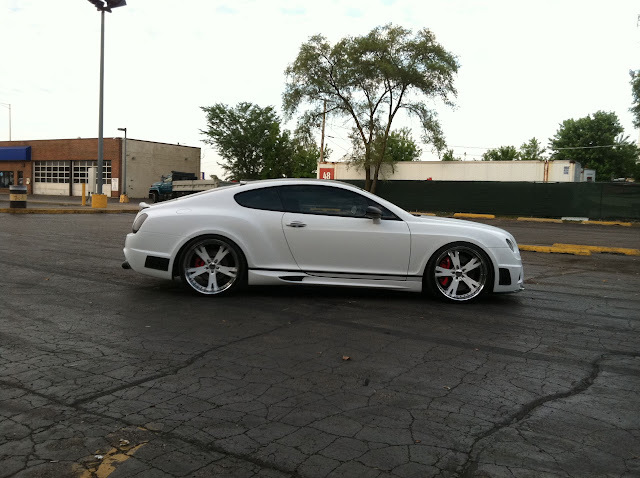 Bentley GT Coupe Matte White / Matte Black Wrap | X-treme Graphics & Lettering, Inc. Check out the Matte White / Matte Black two tone vinyl wrap on a 05′ Bentley GT Coupe we recently did. We transformed it from a gloss black to an aggressive two tone matte finish. We used 3M Scotchprint 1080 and broke apart the two tone with a charcoal metallic pinstripe. Follow the link to check out more pictures!